Jehovah’s Witnesses (JW) are well recognized for their refusal of blood products as part of their faith. Cardiac surgery is associated with relatively high demand for blood transfusion making it challenging to perform cardiac surgery in JW patients. The first case of cardiac surgery in a JW patient was reported in 1964. Since then, blood management strategies have evolved including preoperative optimization of hemoglobin level, new pharmacological agents, and improved cardiopulmonary bypass systems. Currently, cardiac surgery in JW patients including even high-risk complex cases can be safely performed with those blood management strategies. Recently clinical outcomes in cardiac surgery in JW patients have become comparable to those of non-JW patients in a selected patient group. There are many positive effects by avoiding blood transfusion such as risks of blood-transmitted infection. Therefore, the blood management strategies developed for JW patients would be beneficial to any cardiac surgery patients. 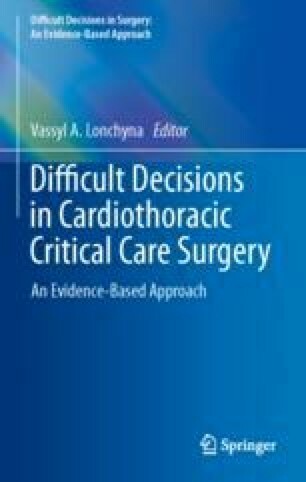 In this chapter, current blood management strategies in cardiac surgery of JW patients will be discussed.